Ludovica currently acts as Legal & Corporate Affairs of Global Trading Divison of Enel Group. 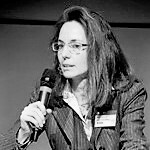 She graduated in Law at “La Statale’’ University of Milan in 1997 and then has been admitted to the Italian Bar Association in 2001. For five years she worked in private practice in several law firms both in Italy and USA. In 2003 she joined the legal department of Enel and she worked for several years mainly on construction projects. Thereafter she held positions of increasing responsibilities including Head of Legal & Corporate Affairs Global Business Services & Global ICT at Enel S.p.A., Head of Group Significat Litigations and Head of Legal and Corporate Affairs of Eastern Europe.